Johnson’s Baby Powder has been a household product for decades. Women have used it to keep their babies’ bottoms dry and fresh and as a feminine hygiene product. Many women have used this product and Johnson’s Shower and Shower product to dust themselves, tampons, and sanitary napkins to keep them clean and odor-free. Little did these women know that the regular use of talcum powder could cause them to become ill with ovarian cancer. Sadly, many women who have been diagnosed with ovarian cancer are discovering the dangerous link between their cancer and use of talcum powder products. Many of them are fighting back and suing Johnson & Johnson, the manufacturer of these products. Their lawsuits claim that Johnson & Johnson knew of the link between use of talcum powder and ovarian cancer and failed to warn women of the risk. Some of these cases have gone to trial—and women are winning their cases and being awarded millions in damages. 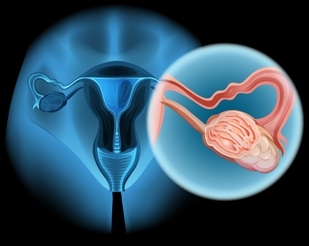 Ovarian cancer is an especially deadly form of cancer that starts in a woman’s ovaries and spreads to other parts of her body as the cancer grows. According to the Centers for Disease Control and Prevention (CDC), 20,000 women are diagnosed with ovarian cancer each year. Although it only accounts for three percent of all cancers in women, it is the most deadly reproductive cancer, resulting in 14,276 women dying in 2013. Because women experience few symptoms during the early stages of the cancer, it is often not diagnosed until its later stages when it has metastasized and traveled to other parts of her body. Treatments include surgery, chemotherapy, and radiation. However, they are much less effective in later stages of the disease, and ovarian cancer is often fatal—including for women who developed this cancer from talcum powder use. Talc is a mineral found throughout the world and in its ground-up form is the key ingredient in talcum powder. When applied to a woman’s genital area, sanitary napkins, or tampons, talcum powder can move through the woman’s reproductive organs into her ovaries. Once in the ovaries, the talcum powder particles can cause inflammation, increased cell growth, and damage to the DNA, which can cause ovarian cancer cells to develop and grow. A number of studies dating back as early as the 1970’s have found talc particles in ovarian tumor tissues and linked talcum powder use to ovarian cancer. In a study reported in Cancer Prevention Research in 2013, researchers concluded that women who used talcum powder on a regular basis as a feminine hygiene product have a 20 to 30 percent greater chance of developing ovarian cancer. A woman’s family was awarded $10 million in compensatory damages and $62 million in punitive damages after a woman who had used talcum powder since she was a teenager died from ovarian cancer at 62 years old. In awarding punitive damages, the jury relied on an internal Johnson & Johnson memo in 1997 from their medical consultant that warned of the dangers of talcum powder causing ovarian cancer. Another jury awarded a woman who had used these products for decades and developed ovarian cancer $5 million in compensatory damages and $50 million in punitive damages. What Should You Do If You Suspect Your Ovarian Cancer Was Caused by Talcum Powder Use? If you were diagnosed with ovarian cancer and used talcum powder on a regular basis, you need to act quickly to pursue your legal options. You may be entitled to compensation for your medical bills, lost wages, and the pain and suffering you have endured from your illness. You need an experienced personal injury attorney who can help you prove the link between your cancer and your talcum powder use to hold Johnson & Johnson responsible. Fill out our online form or call us directly at 706.863.660 to schedule a free, no-obligation consultation. You can have your questions answered. Learn how we can help you get the compensation you deserve.